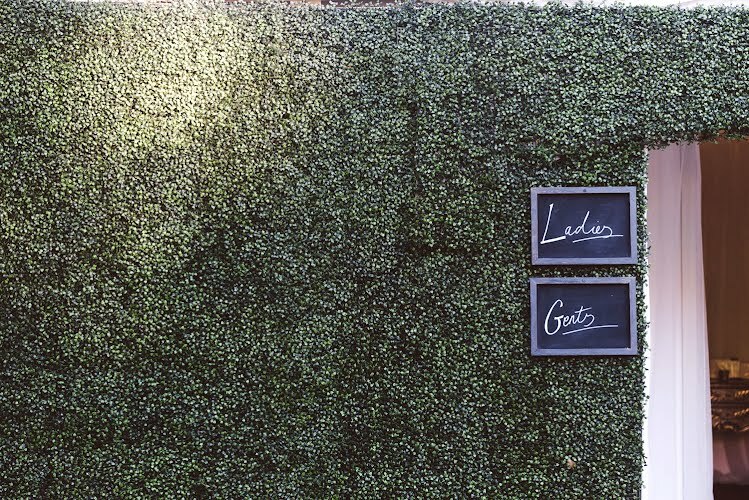 Private wedding design and production. 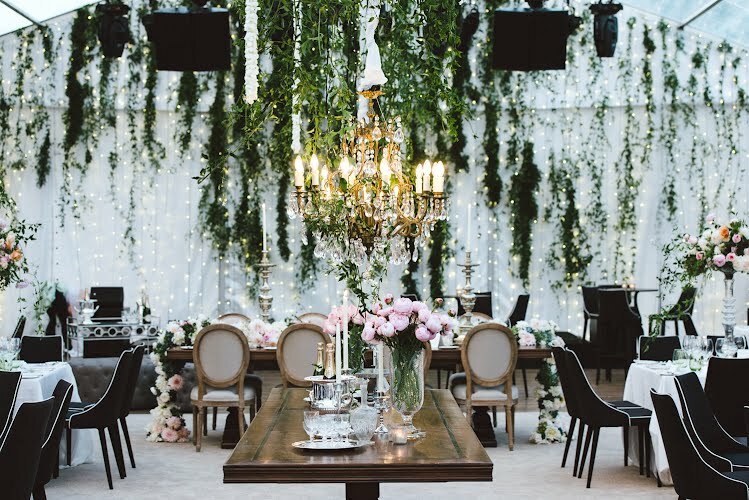 Styling for a spectacular wedding in a private home. 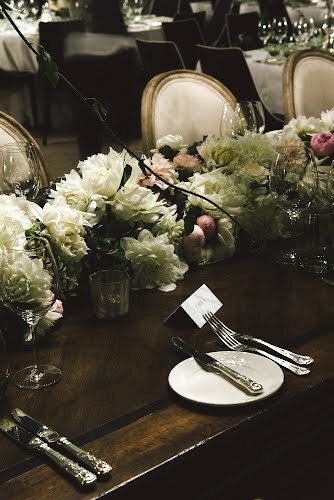 Working with Damm Fine Food and Fleur to create a classic but modern room for a black tie sit down wedding. 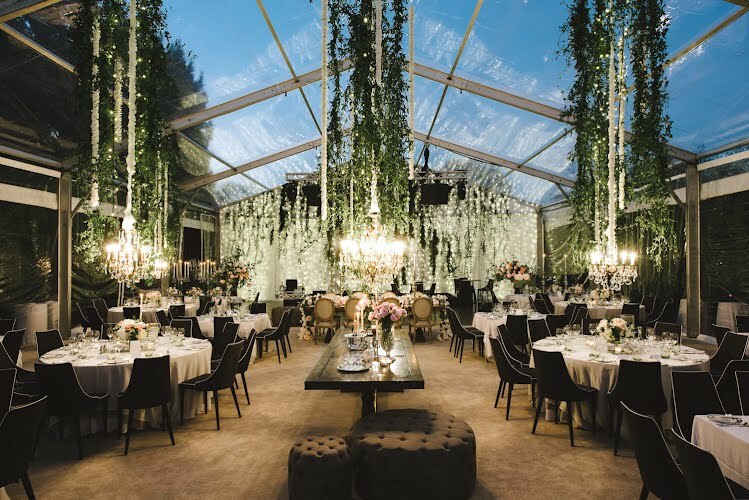 Set in a 7m high clear roof marquee and including custom made silk linen table cloths and muslin sheer drapes, Antique chandeliers and furniture and an amazing floral and vine installation made for a magical event. 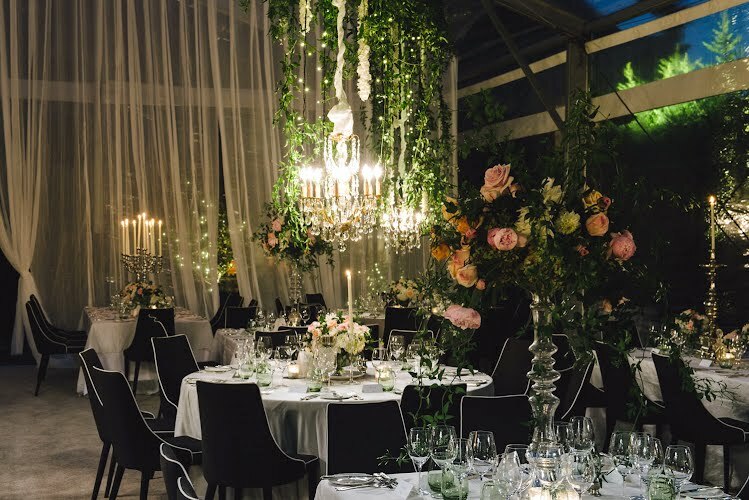 A curtain of fairy lights created a wonderful backdrop to the dancefloor and the marquee which could be seen through the garden.